California Lake's Toxic Algae Among Worst in U.S.
A lake near Santa Cruz has the highest levels of toxic algae in the state, and some of the highest in the country, according to a new study by the National Wildlife Federation and the San Francisco-based Resource Media, a non-profit outreach firm that specializes in environmental issues. The report highlights Pinto Lake, which is in a park just outside of Watsonville, near the Monterey coast. 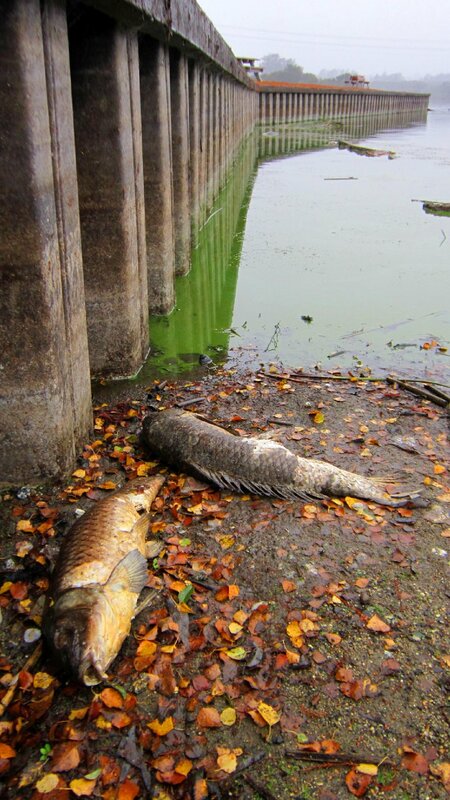 Every year, it suffers from blooms of cyanobacteria which can sicken people and kill animals. The health risks for humans range from rashes and nausea to liver or kidney damage. "It is probably one of the most surreal sights I've seen," said Robert Ketley, a senior utilities engineer for the city of Watsonville. "When we have a really significant bloom, the lake looks like automobile anti-freeze with chunks of steamed broccoli floating in it. You then add to that, depending upon what species of cyanobacteria is blooming, a smell that is either like gym bag or manure." The toxic algae in Pinto Lake has been linked to sea otter deaths in Monterey Bay. Ketley said he discovered the problem when he tested the lake, and found that the algae in it was toxic. Watsonville, Santa Cruz County and researchers from the University of California, Santa Cruz now track the water quality at the lake. But Ketley said there's no coordinated monitoring program for toxic algal blooms. "If we were to look at other bodies of water in the state that may have the same problem -- this is very much an emerging water quality issue -- there may be nobody looking at it," he said. That's one of the issues the organizations behind the new study hope to raise. "The extent of algal blooms has been under-reported," said the National Wildlife Federation's Jordan Lubetkin, "in part because there is a sort of haphazard, inconsistent approach that states take, as well as no real national effort to track health advisories and lake closures." In California, the Water Resources Control Board's regional offices monitor toxic algae. The report calls out one Northern California project that's done a particularly thorough job: The Klamath Basin Monitoring Program, which is a collaboration between Indian tribes, university research programs, non-profits and the regional Water Board. 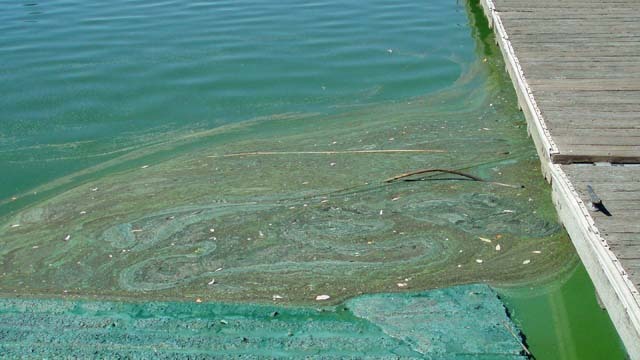 Algae occur naturally; the blooms can happen when phosphorous from fertilizers washes into the water. Even algae that's not in and of itself toxic can harm wildlife. The dead zone in the Gulf of Mexico is a result of algae blooms. When the algae die, they decompose. That process takes up oxygen and leaves the area uninhabitable for fish.